The Black Widow®/Super Structure still remains far ahead of any of its competitors due to its performance and unique design. 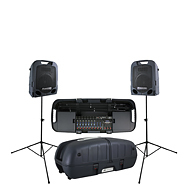 These state-of the-art speakers feature Kevlar® impregnated cones and a high efficiency magnet structure to provide outstanding sensitivity, reliability, and performance. The Kevlar impregnated cone is stiffer than an equivalent weight paper cone, reducing the tendency of the cone to distort the shape of the voice coil, thus avoiding rubs and scrapes. Superior power handling results from the increased stiffness, especially with large cone excursions. This cone also offers lower distortion than a paper cone due to a greater dampening of unwanted cone vibrations. The piston action of the Kevlar impregnated cone is extended to a higher frequency, while the range above is better controlled, with a reduction in vibrational break-up. 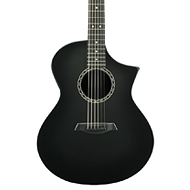 In Black Widow models 1203 and 1501DT, where the properties of a Kevlar impregnated cone might not be desirable, such as speakers designed for guitar use, a specially formulated paper cone (along with other Peavey engineered factors) is utilized to promote that distinctive tone. 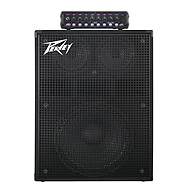 The magnet structure features a patented Peavey technology: a one piece die-cast back plate/pole piece assembly. This construction eliminates an undesirable "air gap" in the magnet circuit, enhancing efficiency and reliability. 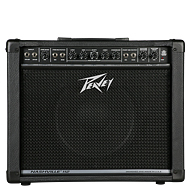 Another Peavey original is the design of the speaker framework. In the unlikely event of the failure of a Black Widow loudspeaker, the cone/basket assembly is field replaceable with a factory assembled and tested replacement basket assembly. Instead of being forced to obtain a whole new speaker, only a new basket assembly is required. Lightweight and relatively inexpensive, the replaceable basket assembly offers an easy solution to spares and repairs. 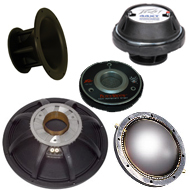 Along with these state-of-the-art aspects, Black Widow speakers also provide the features expected in a professional application loudspeaker: a four inch edgewound aluminum ribbon voice coil wound on a Kapton(TM) former for high efficiency and sensitivity; a die-cast aluminum alloy frame for exacting lifelong alignment of the assembly; an extra large vent in the magnet structure for superior cooling and linearity at high drive levels; and heavy-duty spring loaded terminals adhering to industry standards for color coding. the high technology performer that is unsurpassed. 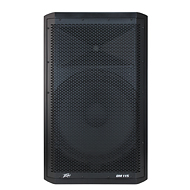 The 1205 is an 8 ohm, 12" Black Widow/Super Structure speaker that is similar to the 1201, except with a longer voice coil and enhanced low frequency response. 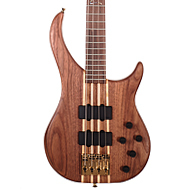 The 1203 is the 12" Black Widow/Super Structure designed for musical instrument applications. 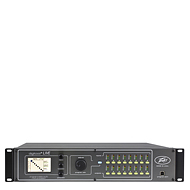 Able to handle high power yet maintain a bright crisp high-end with maximum output, the 1203 is the choice of many demanding musicians. 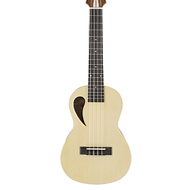 For that high-end "edge," the 1203 utilizes a special paper cone for those distinctive guitar and keyboard sounds. 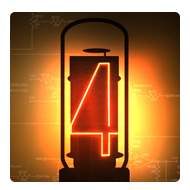 Available in 8 ohm and 4 ohm versions. The 1202 is a 4 ohm, 12" Black Widow/Super Structure designed specifically for use as a compression driver in a horn-loaded mid-bass application. 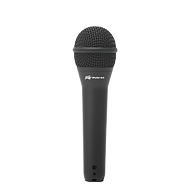 Designed with an inverted dust cap to match up with a phase plug, the Kevlar impregnated cone resists break-up and cone cry, which results in a smoother response and more viable high frequencies. Not recommended for use as a direct radiator. The "KA" version of the 1505 has a medium length voice coil for higher efficiency and even greater bandwidth than the 1505DT-8. 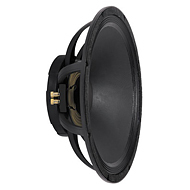 The 1501DT is a 4 ohm, 15" Black Widow/Super Structure speaker specifically voiced for musical instrument use. A "classic" sound is achieved by using a specially developed high density curvilinear paper cone, and incorporating a one-piece aluminum dust cap and voice coil former. 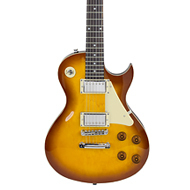 Sustain is enhanced while retaining control of the overall tone. Obvious applications include lead guitar and steel guitar. The 1502DT is a 15" Black Widow/Super Structure speaker with a straight-sided, ribbed, Kevlar impregnated cone for the strength required to handle pounding bass lines. 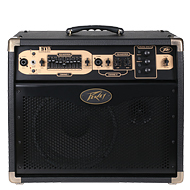 Primarily a bass guitar speaker, the 1502 is versatile enough to be used for lead guitar, keyboard, and general purpose low frequency sound reinforcement. The 1502DT-4 is equipped with medium length voice coils for efficiency and high output and is available in 4 and 8 ohm versions. The 1505DT-4 is a 4 ohm, 15" Black Widow/Super Structure speaker with a curvilinear Kevlar impregnated cone for extended smooth response. While used as a bass guitar speaker, the high frequencies have a little extra "bite." Long voice coil maintains linearity at high drive levels. 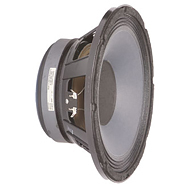 The 1504DT is a 4 ohm 15" Black Widow/Super Structure speaker designed specifically for use in horn loaded enclosures. Utilizing a straight-sided, ribbed, Kevlar impregnated cone for maximum rigidity, the suspension is more compliant (softer) for higher linearity when driving a horn loaded cabinet. The 1801-4 is a 4 ohm version of the 1801-8 and matches better with the load requirements of musical instrument use. 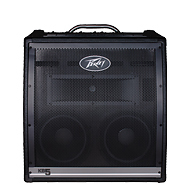 The Thiele/Small parameters for Peavey Black Widow speakers are provided for those who like to "roll-their-own" design and construct a custom cabinet for a specific purpose. Modern computer programs have enabled almost anyone to try "what-if" calculations utilizing the Thiele/Small parameters without requiring a complete understanding of the individual parameters. For the uninitiated, there are no "good" or "bad" Thiele/Small numbers, just relevant design information. WHAT DOES THE NOTATION MEAN? Some notes concerning how the frequency response curves were taken: All the Black Widow models were curved in a suitable box. The 12" models were mounted in a volume of approximately 2 cubic feet, tuned to 80 Hz. The 15" models were mounted in a volume of approximately 3.5 cubic feet tuned to 40 Hz. The 18" models were mounted in a volume of approximately 10.5 cubic feet tuned to 32 Hz. Each box was lined with one layer of acoustic absorbing materials and measured in an anechoic chamber. 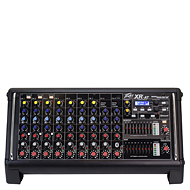 One watt of input power was used (2 V for 4 ohm models, 2.83 V for 8 ohm models), and the measurement microphone was placed at 1 meter from the speaker on axis with the center of the speaker. Due to standing waves inside the cabinets, the 12" models exhibit dips at approximately 700 Hz and 1.2 kHz; the 15" models at 400 Hz and 800 Hz; and the 18" models at 320 Hz and 6550 Hz. These are related to the internal dimensions of the cabinets and are not inherent in the speakers. 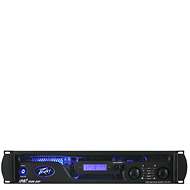 Loss bass response (below 200 Hz) is almost completely dictated by the cabinet used with the speaker. Different roll-offs and responses can be achieved with variations in the box volume and/or tuning. Nominal Size: 12" 15" 18"
Overall Diameter 12 1/4" 15 1/4" 18 3/16"
Bolt Circle Diameter 11 5/8" 14 9/16" 17 3/8"
Hole (cut-out) Diameter 10 15/16" 14" 16 3/4"
Depth 3 17/32" 4 31/32" 5 17/32"
Weight 16 lbs. 17 lbs. 18 lbs.